After practicing hypnotherapy for many years in face to face practice, I decided to record these CDs as a way to help more people. Many people don’t know what to expect, or aren’t sure they will see value for money from treatment. These CDs will help you achieve your goals on their own, but can also act as an introduction to what hypnotherapy can help you achieve. Unlike many other hypnotherapy CDs, these are no nonsense, with no gimmicks, just a simple straightforward way to enable real and lasting change. 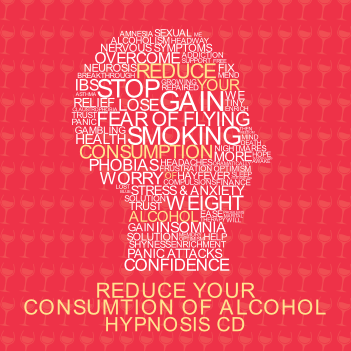 If you’re worried about how much alcohol you’re drinking and are finding it hard to cut down, this CD can help support you. By strengthening your willpower and teaching your mind to behave differently, it can help you cut out or cut down your drinking.